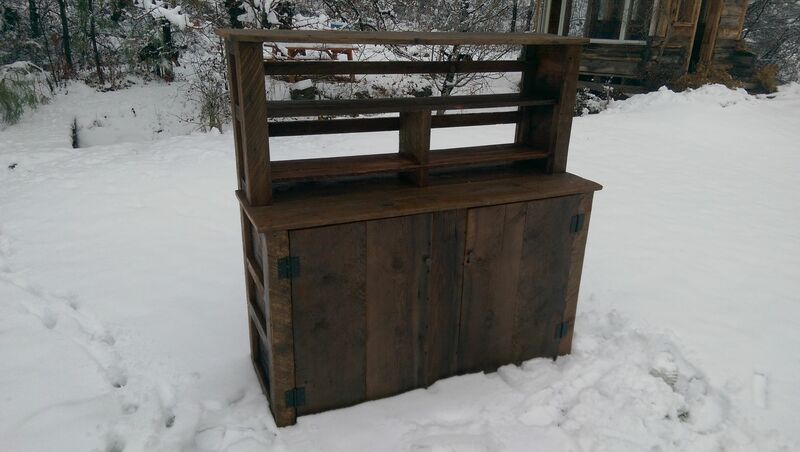 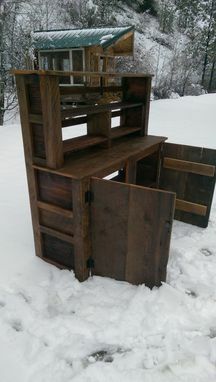 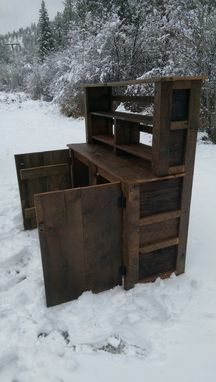 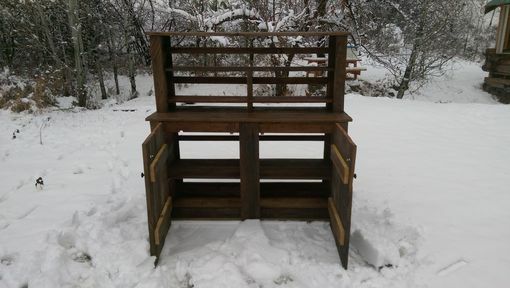 This hutch is made in the " farm house " style. It's finished with a clear satin poly stain that is water resistant. 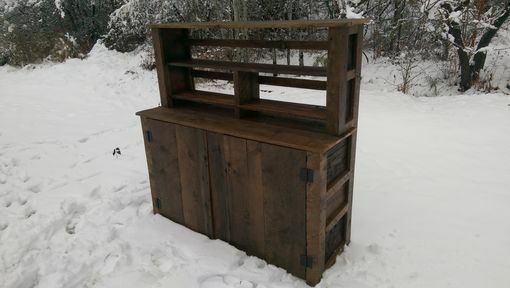 This is a made to order peice so the dimensions are up to you. 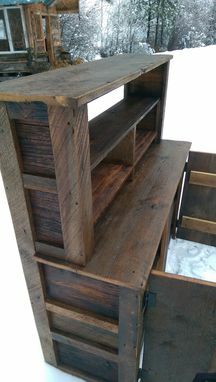 Please message me for an exact shipping quote.